The need for an alternative to fossil fuel is real. And in time, hydrogen will be one of our most sustainable options. Not only because hydrogen can be produced from renewables like solar and wind, but also because the only emission from the tailpipe is water vapor. 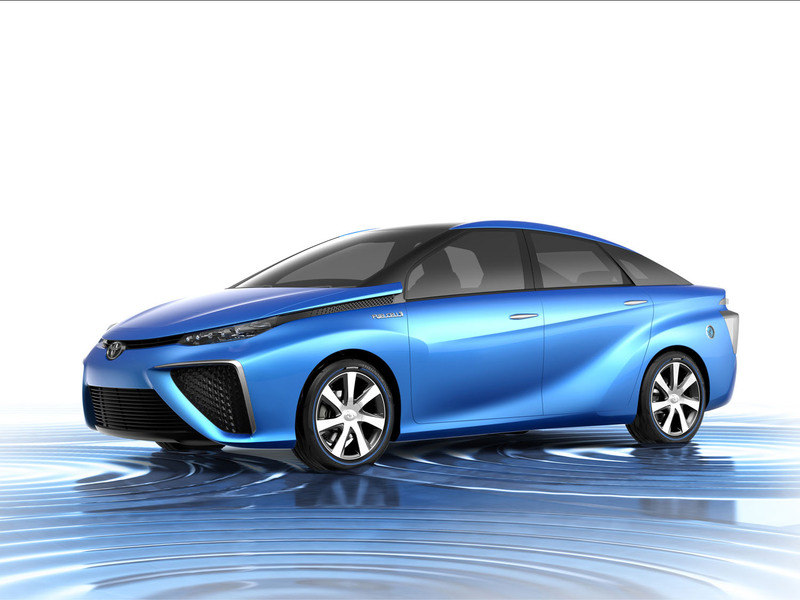 Toyota has dedicated 20 years to the research and development of hydrogen fuel cell technology. And finally, its first hydrogen car is ready to be rolled out. The eco-conscious fleet is called Mirai. Using Hydrogen mixed with Oxygen, all that’s left is Water. Although the interior is not ready to show yet, the company confirmed that “it’ll be very spacious with ample trunk room”. Toyota Mirai is designed with its electrically-generated hydrogen fuel cell under the front seats and the hydrogen gas tanks under the back wheel well. Very optimized for comfort! The automotive experts predict the cost of refilling a car like this Toyota, which has a 300-mile range, will be about $50, and may come down significantly once refueling infrastructure expands. It seems Toyota has been trying to create a new category, in which it’s obviously the pioneer. “Over the next year, the debate around hydrogen will intensify. Some are still writing hydrogen fuel off as anything from impractical to unsafe. But as history has shown, progress has always been fueled by skepticism. So all question-marks are welcomed,” said Toyota Spokesman. What makes the new Toyota hydrogen car different is the price. While the Hyundai’s hydrogen Tucson goes for about $145,00, Toyota has said its FCV will cost just 7 million yen or a little over $67,000. But what I’m concerned with here is the cost of maintenance, will it be cheaper than an electric car? Share your comments with us. Beijing To Moscow By Train In 30 Hours?